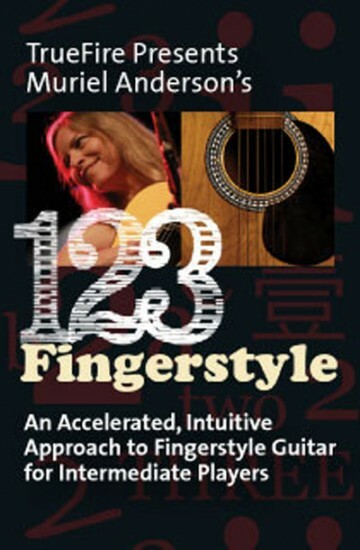 1-2-3 Fingerstyle Guitar is designed for intermediate to advanced flat-pick players who are ready to throw down that pick for a while to finally get a handle on fingerstyle. That's the secret ingredient of this study program -- its a beginning fingerstyle course NOT a beginners course. You won't be bogged down working through a ton of remedial instruction. You'll find the left-hand side of things very familiar and accessible. You'll dive right into developing that finger/thumb independence on the right-hand and Muriel's got the educational goods to get you up, running and fingerpicking faster than you can imagine. Guaranteed.